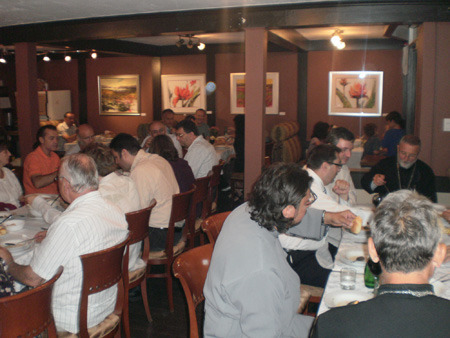 Richmond Hill, Ontario - The St. Archangel Gabriel Parish in Richmond Hill is the newest parish in the Diocese of Canada. 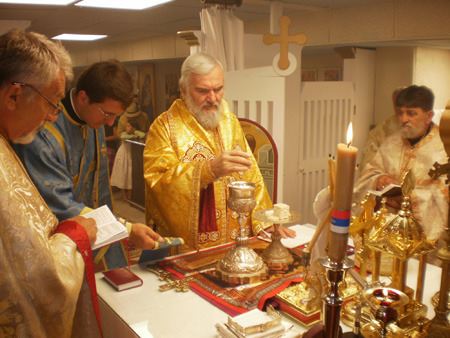 Founded last year with the blessing of His Grace Bishop Georgije of Canada, through the hard work and commitment of the parish priest V. Rev. 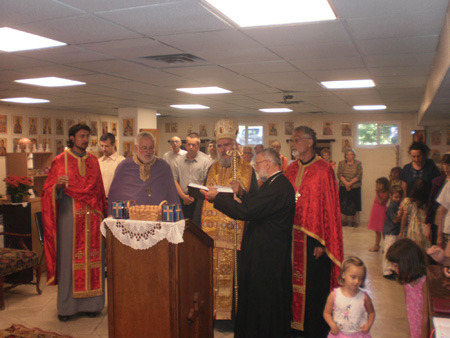 Stavrophor Vasilije Tomic as well as the good and honorable parishioners who gave him their wholehearted support. 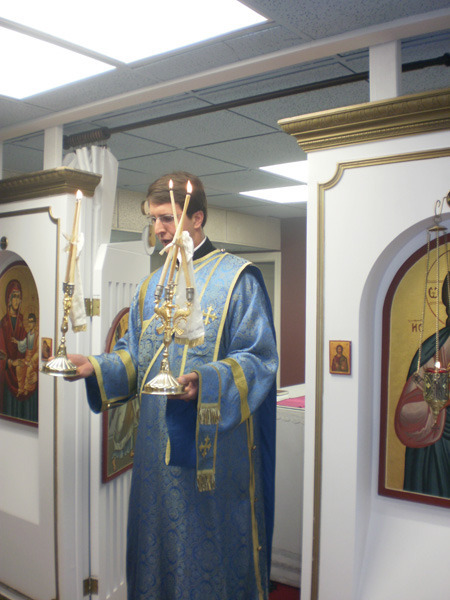 This year the parish celebrated its first church Slava in the newly built chapel dedicated to St. Archangel Gabriel. 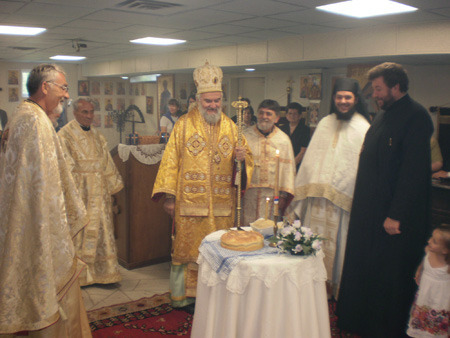 It was for this occasion that Bishop Georgije made a canonical visit to this parish, first serving the Vigil on the eve of the feast and on the following day, Tuesday, July 26th, His Grace officiated at the Holy Hierarchical Divine Liturgy with the concelebration of V. Rev. 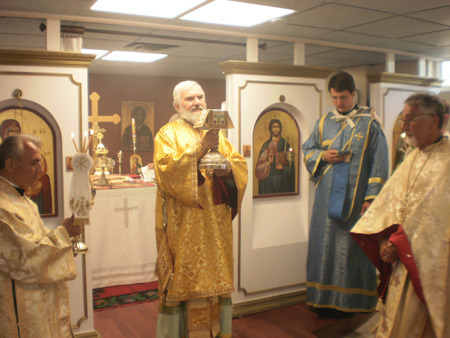 Stravrophor Milutin Veljko, V. Rev. 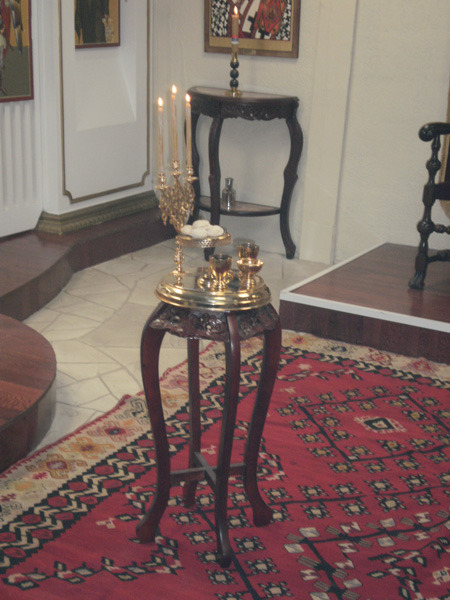 Stavrophor Vaso Pejovic, Rev. Milos Puric and Hieromonk Fr. Vasilije, the abbot the Transfiguration Monastery in Milton. In the inspiring festal homily delivered by Bishop Georgije he spoke of the Holy Archangel Gabriel and the angelic hosts as well as their significance in the life of the Church. The bishop also congratulated all the parishioners on their church Slava at the same time thanking this year's Slava kumovi: V. Rev. Ljubomir Rajic, Protinica Nada and their children Katarina, Matija and Milica. 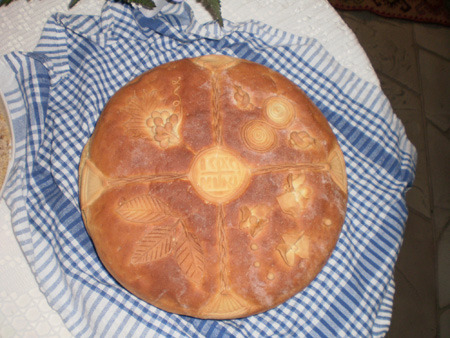 Following the prayer before the Ambon the Slava Kolach and wheat was blessed and after the distribution of the Antidoron Prota Vasilije invited everyone to the church hall where the Kolo Sestara prepared a rich Slava feast.